Ann and Wade have carved out a life for themselves from a rugged landscape in northern Idaho, where they are bound together by more than love. With her husband’s memory fading, Ann attempts to piece together the truth of what happened to Wade’s first wife, Jenny, and to their daughters. ...[a] shatteringly original debut ... Each character’s voice is real and authentic, rendered with hypnotic precision. ... You could read Idaho just for the sheer beauty of the prose, the expert way Ruskovich makes everything strange and yet absolutely familiar. There is the sullen, oppressive heat, the lush verdant green of the forest, and the smothering cover of snow. There are 'the drippy pines, the mulchy ground.' 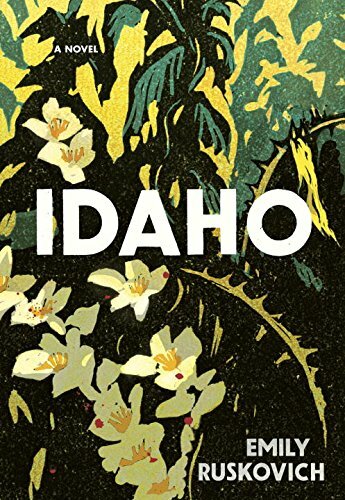 She startles with images so fresh, they make you see the world anew ... Idaho’s brilliance is in its ability to not to tie up the threads of narrative, and still be consummately rewarding. The novel reminds us that some things we just cannot know in life — but we can imagine them, we can feel them and, perhaps, that can be enough to heal us. Poetic and razor sharp ... Idaho shifts to his perspective, as well as the perspective of his first wife, Jenny, who we meet serving a 30-year prison sentence. Each point of view is imbued with a strikingly different perspective on the events that connect them. Each is powerfully psychological, as Ruskovich gingerly peels back their respective psyches, regrets, and dreams and each character’s undeniable urge to gaze backward ... Idaho is sad, but not despairingly so. Ruskovich’s prose is lyrical but keen, a poem that never gets lost in its own rhythm. 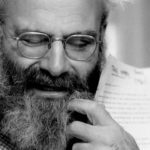 Even as the plot can be seen to loosely hang over the murder, most of the chapters are more concerned with a Marilynne Robinson-like emphasis on the private, painfully human contemplation going on inside the characters’ brains. The result is writing as bruisingly beautiful as the Idaho landscape in which the story takes place. What did you think of Idaho?